It’s the new year season and upgrading your WordPress.com blog to one of the paid plans is the best gift you can get for yourself at this time. I’m pretty sure most of you are having your blogs hosted on WordPress.com free plan and are planning to upgrade your site in the future. By upgrading your blog to one of the paid plans, you will be able to get rid off all WordPress.com advertisements on your site. WordPress.com display advertisements on your blog (below blog posts, on the sidebar and sometimes on header section) to help pay the bills and for keeping the ‘free features’ free. The advertisements displayed to your site visitors are determined by their location, browsing history and other factors. And the best part about upgrading your WordPress.com blog is, you will be getting a free custom domain name for your site. By using a custom domain name for your site, it will help you look more professional and established than other bloggers on the free plan. On the WordPress.com Free Plan, your website can be accessed only using the WordPress.com sub-domain (like example.wordpress.com). It will make your site address too long to remember makes your blog look less professional. Also, customer support is limited to the WordPress.com community support forums. Storage space is also limited to 3GB on the free plan. 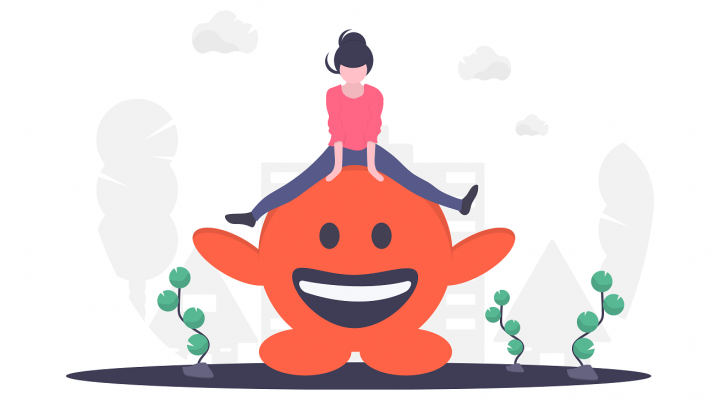 But it includes essential Jetpack features (SEO, spam protection, social sharing, site stats, etc), hundreds of free themes and basic design customization. WordPress.com Personal Plan (best for personal use – blogging, diary entries, project portfolio, online resume) gives you a free domain name for your blog, access to email and live chat support, 6GB of storage space and removes all WordPress.com ads on your site in addition to the existing features provided by the free plan. 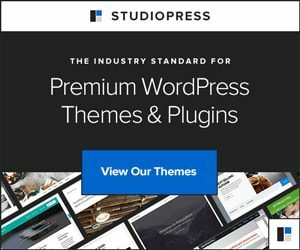 WordPress.com Premium Plan (best for entrepreneurs, freelancers, and photographers) gives you access to unlimited premium themes, advanced design customization, 13GB of storage space, instant access to WordAds (in-house ad monetization platform for WordPress.com blogs) and VideoPress support in addition to all the features provided by the Personal plan. VideoPress allows you to easily upload videos to your blog and display them using a fast, unbranded, customizable video player with rich stats. WordPress.com Business Plan (best for small businesses, organizations, online stores, and educational institutions) gives you access to unlimited storage space, live courses for managing your WordPress blog, SEO tools, custom WordPress plugins, and themes support, Google Analytics integration and ability to remove WordPress.com branding from your site footer credits in addition to all the features provided by the Premium plan. I don’t want to bore you with all the features WordPress.com offers right now, you can check it out directly by clicking on the button at the bottom of this post. In general, WordPress.com doesn’t offer any discount on its paid plans but time, they are offering a steep discount of 20% on Personal, Premium and Business plans. How to grab this special WordPress.com discount? All you need to do is open up your WordPress.com Settings page and choose the blog you want to upgrade (if you have multiple sites). Then, switch to the ‘Plan’ tab on the left-hand menu. Now, choose the WordPress.com plan to which you want your blog to upgrade. Once you have chosen your desired WordPress.com plan, you will be greeted with the checkout screen. On the left-hand side, you can see a small text ‘Have a coupon code?’. Click on it and enter ‘DISCOUNT20‘ WordPress.com promo code as the coupon code and click ‘Apply’. Now the cost will be recalculated automatically and you will be presented with the new discounted rate you need to pay to complete the purchase. You can use your credit card, debit card or PayPal account to checkout and complete the transaction. Usually, the WordPress.com Personal Plan will cost you $60 per year but with coupon code applied, it will only cost you $48 per year. Exciting times ahead! This coupon code will expire on March 10, 2019. So, hurry up and upgrade your blog while the promo is still active. It’s better to take advantage of this incredible opportunity right now rather than to regret later folks. Thus I hope that this post helped you in getting the best deal out of WordPress.com. If you haven’t upgraded your site yet, hurry up. If you have upgraded your website already, spread the good news by re-blogging this post on WordPress.com and sharing it with your followers on Facebook, Twitter and Google Plus. Happy Blogging! Wow!..This is really informative post. Thanks for sharing it. You’re welcome Bhavana, glad that you found it useful! I will be upgrading I just can not do it at the moment even though its very tempting with the discount. That’s okay, no hurries. This special WordPress.com Holiday Sale promo will be active until the 31st of December, just in case you decide to change your mind later! Thank you very much for this insightful information Antony. It’s very thoughtful of you to share. I have used hosting from a third-party provider. In that case, you can check out the special web hosting offer from SiteGround. Hope that helps! Oops! Thanks for letting me know. I will update the post once WordPress.com Black Friday and Cyber Monday deals are active. Happy blogging! Hello Seim, WordPress.com Black Friday and Cyber Monday deals will be active from November 23, 2018 until November 26, 2018. You can check them out at WordPress.com Black Friday Deals. Happy blogging!